Thanks to Hollywood Westerns, the world will not forget icons of the American frontier any time soon. Gunfight at the O.K. Corral (1957) immortalized Wyatt Earp, Doc Holliday, and the Cochise County Cowboys. John Wayne’s starring role in The Alamo (1960) made Davy Crockett a household name. And after Leonardo DiCaprio’s performance in The Revenant (2015), the name Hugh Glass will long survive in posterity. Wyatt Earp, Davy Crockett, and Hugh Glass- three characters of the American Old West. Unfortunately, the same cannot be said of the heroes and villains of Canada’s slightly-less-Old, slightly-less-Wild West. Today, few Canucks, if pressed, would be able to list off any of the prospectors, whisky traders, wolfers, or adventurers who made their marks on Western Canada prior to the arrival of the North West Mounted Police in 1874. This is completely understandable, and not at all surprising. The golden age of Western cinema predates Vancouver’s ‘Hollywood North’, and the Ottawa-centric education systems adopted by the western provinces have historically done little in the way of educating their students on local history. Aside from a handful of obscure streets bearing their names, the frontiersmen of British Columbia, Alberta, Saskatchewan, and Manitoba have all but disappeared from our cultural memory. 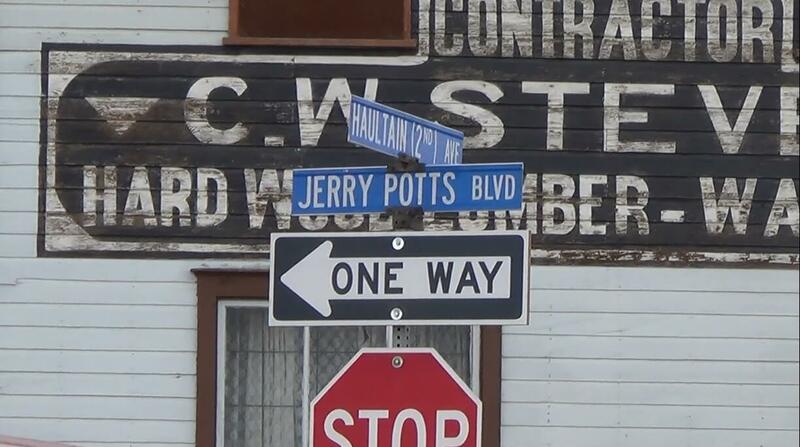 Jerry Potts Boulevard, Fort Macleod, Alberta. Luckily, historians like Hugh Dempsey of Calgary’s Glenbow Museum and Rodger Touchie of the Heritage House Publishing Company work hard to keep the stories of the Western Canadian frontier, and the memories of the colourful characters who lived them, alive. Through books and articles born from archival research, archaeological study, and interviews, these scholars have painted a picture of Canada’s Wild West which is every bit as unique and arguably every bit as interesting as its American counterpart. With our country’s 150th birthday only a year away, it’s important that we Canadians take advantage of their work and remember our country’s western lineage.